Perfect as an addition to any facial or for a special occasion, when it’s important to look your very best. 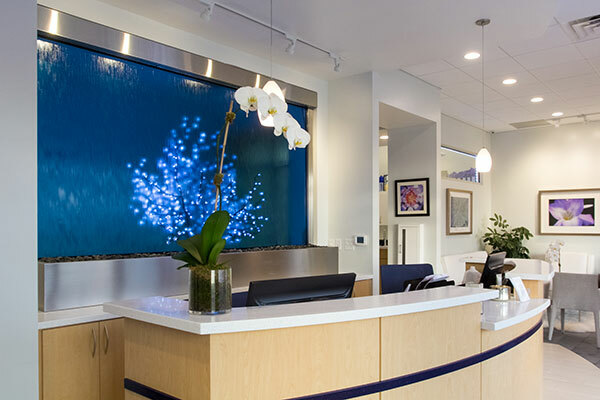 The Blue Water Spa Lymphatic Lift Facial begins with the skin being gently cleansed and exfoliated to stimulate cell renewal and collagen production. This leaves the skin smooth and renewed. A hydrating lotion is massaged into the hands and arms while steam activates an enzyme exfoliation for the face and neck. Thorough deep pore cleansing is performed precisely to minimize irritation and purge any build up within the pores. 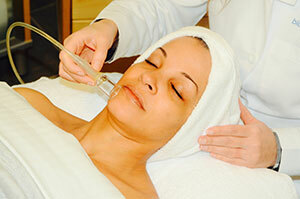 Our state-of-the-art equipment for providing facial lymphatic drainage is profoundly relaxing and effective. By eliminating excess fluids and toxins, the result is tighter, younger looking skin, with a firmer feel and an all-over glow. This facial is ideal for all skin types, excluding acne-prone or those with Rosacea. Because of the detoxifying aspects of this lymphatic treatment, this facial is particularly ideal for those experiencing sinus congestion or puffiness in the face and around the eyes that can be associated with allergies or a lack of sleep.